A find and a fix: that was the job. Locate and fix the target to an address, observe and await further instructions. It should have been easy. When ex-soldier Owen Gallagher accepts a freelance surveillance assignment he thinks it's just another job, but that's before this off-the-books tasking ensnares him in an ever-deepening mystery. With the assistance of former military colleagues, a Chelsea Pensioner, a mercenary with anger-management issues, a smattering of London gangsters, and a confused MI5 officer, Gallagher must gather and decode all the pieces of a puzzle that threatens to drag the world into the abyss. Wanted by the police and intelligence services, Gallagher seeks answers amongst the shadows of global security inhabited by intelligence operatives, state-sponsored killers and international terrorists. On their journey through a maze of conspiracy, betrayal and intrigue, the comradeship of veterans binds together a group of men fighting a new kind of battle, in a war where politics and deceit are the real weapons of mass destruction. 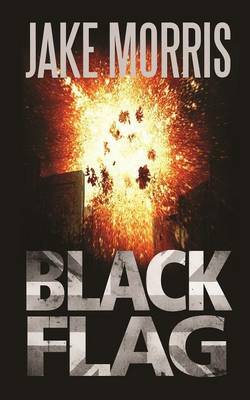 Black Flag is an action-packed story that brings the espionage novel bang up to date for the twenty-first century. This is an unsettling work that will both trouble and delight the modern thriller reader.